Finding a right home is a troublesome chore for the people, not because the availability of 2BHK home is less but because of choice of locality, interior designing and many other factors. To get a beautiful and modern house along with interior designing is tough but not impossible as the architectures and builders and designing the apartments keeping in mind the requirement of their customers. 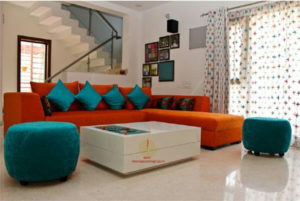 At present time interior designing of a house has become an important factor for the buyers so a number of techniques have been introduced to meet the requirements of home owners. Let’s have a look on the techniques that interior designers are using at present time to leave a lasting impression on them.